The collegiate sports landscape is littered with coaches who pursue positions at bigger schools or higher NCAA divisions only to find they had things pretty good where they were. That’s not the case at St. Norbert College, where the coaching carousel stops intentionally for many of the men and women who lead the Green Knights’ athletics programs. The vast majority of the college’s head coaches choose to avoid the nomadic nature of the coaching business and spend a significant portion of their careers at a small liberal arts college that competes at the NCAA’s nonscholarship Division III level. “There have been other opportunities for me, but at the end of the day, you realize the grass isn’t always greener on the other side,” says Dan McCarty, who is in his fourth year as head coach of Green Knights football, and his fifth year overall at St. Norbert. Coaching stability is a common denominator in the college’s current history-making run of success across the spectrum of sports. In addition to creating a shared expectation of excellence, head coaching consistency is a beneficial variable in the recruitment of high-level athletes. 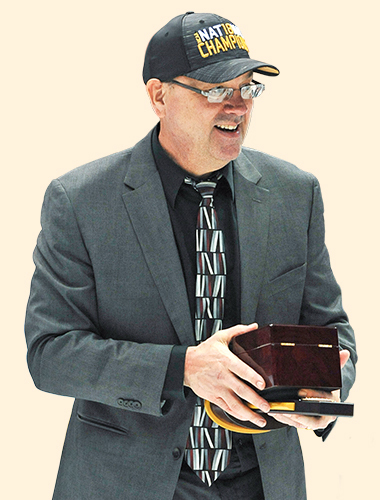 “I firmly believe in that philosophy,” says Grzesk, who served as an assistant at Division I Youngstown State and UWGB prior to accepting Division III head coaching positions at Lakeland and, for the last 13 years, at St. Norbert. “It’s very flattering when you hear your name mentioned for other jobs, but I’m at the point now where I don’t need to take a bad job to try and prove myself as a coach, or go up to D-I or D-II to prove myself. Division III athletics also allows for part-time coaches to contribute their expertise without sacrificing their day jobs. Women’s soccer coach Dennis Detrie, also a former Division I athlete at UWGB, has filled that niche through 16 successful seasons at St. Norbert. Detrie, a part-time coach, does not have time outside of his full-time job to do the level of off-campus recruiting that would be required at the D-I level. Few coaches in the country can approach the longevity of Connie Tilley, who is embarking on her 42nd season as head coach of the women’s basketball team. With 18 basketball conference titles (and five in other sports), a dozen trips to the NCAA Tournament and a Final Four appearance, Tilley is the embodiment of coaching stability and the consistent success it can produce. Tilley had an opportunity to jump to the Division I program at Duquesne University in Pittsburgh following the 1984-85 season, when her Green Knights advanced to the NCAA Final Four and posted a 24-4 record. After much deliberation, she decided to stick with what she knows best. 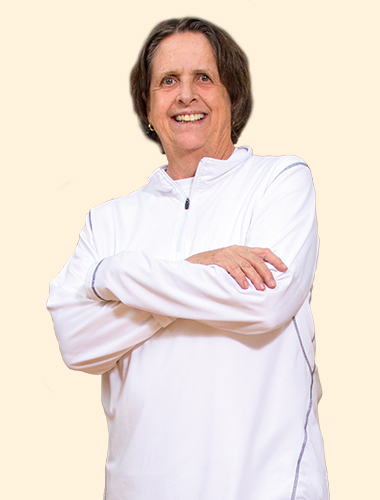 Tilley’s career coincided with the emergence of women’s sports at the college following Title IX taking effect in 1972. She has been able to observe how a culture of playing the game the right way and holding athletes accountable can carry on through generations of athletes. Don Augustine witnessed the success of his high school football coach who, not unlike Tilley, had in a 37-year career that played out at a single Ohio school. Augustine knew that example should serve as the blueprint for his own career. Augustine is in his 12th year as head coach of men’s cross country, women’s cross country, men’s track and field, and women’s track and field. He is the first person in St. Norbert history to hold all four positions in a full-time capacity. Augustine’s commitment to St. Norbert has produced quantifiable gains in participation, especially in track and field where the combined men’s and women’s rosters have grown from 35 in his first season to 108 this year. The question of his future plans comes up often when high school athletes and their parents visit campus. The stability and growth of the track program also has attracted a number of alumni back as part-time or volunteer assistants. Men’s volleyball is the newest program to be added to the Green Knights slate of varsity sports. The Green Knights will begin competition next year as an associate member of the Northern Athletics Collegiate Conference. An emerging sport at the NCAA Division III level, men’s volleyball was sponsored at 94 institutions during the 2018 season, with at least nine schools adding the sport for the 2019 campaign. “Men’s volleyball is quickly growing at the Division III level, as well as in recruiting areas in Green Bay, the Fox Valley and metro Milwaukee and Chicago,” says Tim Bald (Athletics). “Coach [Tim] Coghlin does a tremendous job of teaching young men values and what it takes to be part of a successful team,” says Spencer Carbery ’06, who is now in his first season as head coach of the Hershey Bears, the top minor league affiliate of the defending NHL champion Washington Capitals. 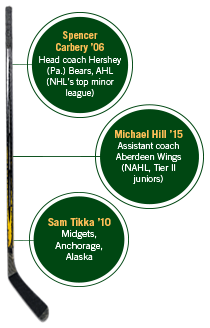 Read more about Carbery and the other hockey alums who are now taking lessons learned at St. Norbert into the future of their sport.